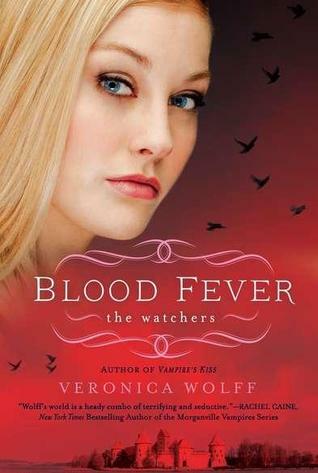 I have an ARC copy of Blood Fever by Veronica Wolff that I'm giving away. I really loved the first two books in this series, and Blood Fever was every bit as good. So, I want to pass my copy on to someone else to enjoy it as well. Enter via the raffle copter widget below. It’s the start of the fall semester, and a new crop of Acari and Trainees have descended on the Isle of Night. Watcher training has intensified, and Drew has a new roommate named Mei-Ling. But Mei-Ling harbors a dangerous secret that drove the vampires to abduct her against her will. Drew knows she shouldn’t get involved, but she can’t seem to leave her roommate to fend for herself. Luckily, Drew has other things on her mind—like vampire Carden. A blood bond to a brawny, eighteenth-century Scottish bad boy tends to preoccupy a girl. And though she’s still figuring out what this bond means, one thing has become clear: She craves him in a major way.